"We can no longer remain silent because the knife is raised against the neck of the entire LGBT community, my community. It will not stop there. This is the time to fight the great darkness. This terrible criminal act that once again happened in 'the city of God.' is an attack on all of us. It attacks the right of all of us to be different, make our choices, accept differences and include the other. Israeli society is wounded, it has been stabbed in the stomach. It is losing its compassion for other people just because they are different. It is losing its acceptance of others. There is a direct connection between those hanging loudspeakers in front of a hostel for autistic children to keep them away to those people who stab people whose only desire is to live according to their conscience and desire. On behalf of what God did the despicable criminal charge at a crowd of marchers yesterday? In the name of what religion did he draw his knife and begin to stab once. And again. And once again." - Itzik Shmuli, writing today for an Israeli newspaper. 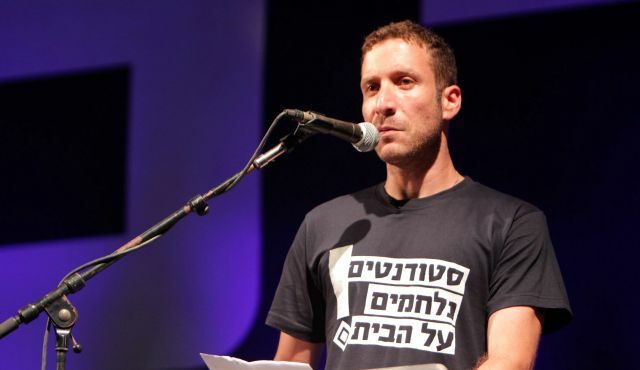 RELATED: A former student leader, Shmuli was elected to the Knesset in 2013 as a member of the Israeli Labor Party, which late last year joined with the left-wing Hatnuah Party to create the Zionist Union in an ultimately failed campaign to unseat Prime Minister Benjamin Netanyahu.